Match ends, Marseille 1, Monaco 4. Second Half ends, Marseille 1, Monaco 4. Attempt blocked. Bouna Sarr (Marseille) left footed shot from outside the box is blocked. Andre Zambo Anguissa (Marseille) wins a free kick in the defensive half. Substitution, Monaco. Kylian Mbappe-Lottin replaces Bernardo Silva. Substitution, Marseille. Saif-Eddine Khaoui replaces Florian Thauvin. Attempt saved. Bafétimbi Gomis (Marseille) right footed shot from the right side of the box is saved in the centre of the goal. Substitution, Monaco. Guido Carrillo replaces Falcao. Corner, Marseille. Conceded by Kamil Glik. Corner, Monaco. Conceded by Bouna Sarr. Substitution, Monaco. João Moutinho replaces Valère Germain. Foul by William Vainqueur (Marseille). Attempt saved. Valère Germain (Monaco) right footed shot from the left side of the box is saved in the centre of the goal. Assisted by Thomas Lemar. Corner, Monaco. Conceded by William Vainqueur. Corner, Monaco. Conceded by Hiroki Sakai. Attempt blocked. Thomas Lemar (Monaco) left footed shot from outside the box is blocked. Assisted by Tiemoué Bakayoko. Corner, Monaco. Conceded by Yohann Pelé. Attempt saved. Valère Germain (Monaco) right footed shot from the right side of the box is saved in the top centre of the goal. Assisted by Fabinho. Corner, Marseille. Conceded by Tiemoué Bakayoko. Attempt blocked. William Vainqueur (Marseille) right footed shot from outside the box is blocked. Corner, Marseille. Conceded by Djibril Sidibe. Bafétimbi Gomis (Marseille) wins a free kick in the attacking half. Maxime Lopez (Marseille) is shown the yellow card for a bad foul. Foul by Maxime Lopez (Marseille). Offside, Marseille. Maxime Lopez tries a through ball, but Bafétimbi Gomis is caught offside. Substitution, Marseille. Doria replaces Karim Rekik. Thomas Lemar (Monaco) wins a free kick in the attacking half. Substitution, Marseille. Bouna Sarr replaces Rémy Cabella. Goal! Marseille 1, Monaco 4. Bernardo Silva (Monaco) left footed shot from the centre of the box to the top right corner. Attempt saved. Fabinho (Monaco) right footed shot from the centre of the box is saved in the centre of the goal. Assisted by Bernardo Silva. Offside, Marseille. Maxime Lopez tries a through ball, but Florian Thauvin is caught offside. Corner, Marseille. Conceded by Jemerson. Attempt missed. Thomas Lemar (Monaco) right footed shot from outside the box misses to the left. Assisted by Falcao. Second Half begins Marseille 1, Monaco 3. First Half ends, Marseille 1, Monaco 3. Goal! Marseille 1, Monaco 3. Bernardo Silva (Monaco) header from the centre of the box to the top left corner. Assisted by Almamy Touré with a cross. Foul by Almamy Touré (Monaco). Attempt saved. 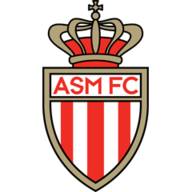 Djibril Sidibe (Monaco) right footed shot from outside the box is saved in the centre of the goal. Assisted by Bernardo Silva with a through ball. Offside, Marseille. Andre Zambo Anguissa tries a through ball, but Bafétimbi Gomis is caught offside. Attempt missed. Falcao (Monaco) right footed shot from outside the box is too high. Assisted by Bernardo Silva. Attempt missed. Djibril Sidibe (Monaco) right footed shot from the left side of the box misses to the right. Assisted by Falcao. Bernardo Silva (Monaco) is shown the yellow card for a bad foul. William Vainqueur (Marseille) wins a free kick in the defensive half. Foul by Bernardo Silva (Monaco). Attempt saved. Thomas Lemar (Monaco) left footed shot from the centre of the box is saved in the top centre of the goal. Assisted by Falcao. Goal! Marseille 1, Monaco 2. Rolando (Marseille) header from the centre of the box to the bottom right corner. Assisted by Maxime Lopez with a cross following a set piece situation. Karim Rekik (Marseille) wins a free kick in the attacking half. Corner, Monaco. Conceded by Bafétimbi Gomis. Attempt blocked. Thomas Lemar (Monaco) left footed shot from outside the box is blocked. Falcao (Monaco) wins a free kick in the attacking half. Attempt missed. Rémy Cabella (Marseille) header from the centre of the box is close, but misses to the left. Assisted by Hiroki Sakai with a cross. Goal! Marseille 0, Monaco 2. Falcao (Monaco) right footed shot from the centre of the box to the bottom left corner. Assisted by Djibril Sidibe. Goal! Marseille 0, Monaco 1. Thomas Lemar (Monaco) left footed shot from the left side of the box to the bottom right corner. Assisted by Tiemoué Bakayoko. Attempt missed. Andre Zambo Anguissa (Marseille) right footed shot from outside the box misses to the right. Assisted by William Vainqueur. Attempt missed. 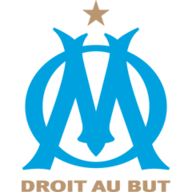 Bafétimbi Gomis (Marseille) header from the centre of the box misses to the left. Attempt saved. Rémy Cabella (Marseille) right footed shot from the right side of the six yard box is saved in the centre of the goal. Assisted by Bafétimbi Gomis. Foul by Andre Zambo Anguissa (Marseille). Valère Germain (Monaco) wins a free kick in the attacking half.